Five silver quarters from the America the Beautiful Quarters Program honoring Effigy Mounds National Monument (IA); Frederick Douglass National Historic Site (DC); Ozark National Scenic Riverways (MO); Ellis Island (New Jersey); and George Rogers Clark National Historical Park (IN). One Native American $1 coin with a reverse design featuring a profiled likeness of Sequoyah writing “Sequoyah from Cherokee Nation” in Cherokee syllabary along the border of the design. Inscriptions are UNITED STATES of AMERICA, $1, and Sequoyah written in English in the field of the design. The quarters, half dollar, and dime are struck in 90 percent silver. All coins bear the S mintmark of the United States Mint at San Francisco. Each set includes a certificate of authenticity. The Mint will accept orders at its online catalog and at 1-800-USA-MINT (872-6468). Hearing- and speech-impaired customers with TTY equipment may order at 1-888-321-MINT. Visit us online for information about shipping options. 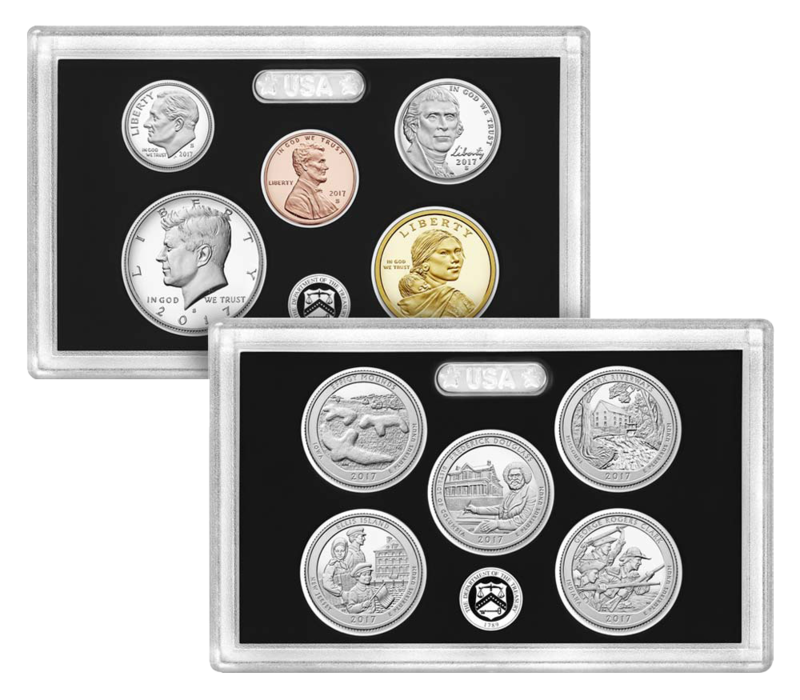 The United States Mint Silver Proof Set is also available for purchase through the Product Enrollment Program. For additional information about this convenient order method, please review our FAQs. June 78????? Wow, what a longgggggggggggggg month!!! I hate to be picky but this is a coin site after all. It’s the Lincoln Cent…… not penny!